The Mesa County Cameo Bridge Replacement project that consisted of replacing the deteriorated 56-year-old bridge spanning the Government Highline Canal located on I.9 Road from the I-70 off ramp is now complete. The Cameo Bridge located on I.9 Road to the west of the former Cameo Plant, provides access to the Little Book Cliff's Wild Horse Area, which is eight miles northeast of Grand Junction. Take a short drive and check out the new bridge! Approximately 80 percent of the funds used to replace the Cameo Bridge were federal dollars. Many chain link kennels were installed at the temporary Animal Services tent facility, where animals will be housed while the repairs to the Animal Services building, 971 Coffman Road, are completed. A trench is being dug around the exterior walls of the Animal Service building in preparation for the installation of supports for the building. Floor demolition inside the Animal Services building is well underway. All the floors were dug up this week. The outside kennels at the Animal Services facility have been removed. On Monday, May 8, the joint Color Guard of the Grand Junction Police Department and Mesa County Sheriff's Office presented the colors before the hearing began. Mesa County Sheriff Matt Lewis, left, thanks and recognizes Deputy Sheriff Amanda Erkman for her service in honor of Correctional Officers Week. 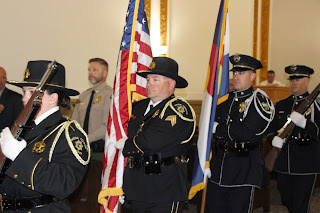 The joint Color Guard of the Grand Junction Police Department and Mesa County Sheriff's Office proceeds to the public hearing room to present the colors. Correctional Officers Week honors the brave men and women who work in the Mesa County Sheriff's Office Detention Facility and correctional officers who work in the jail and are responsible for the safety, containment, and control of more than 480 inmates a day in Mesa County. For Correctional Officers Week, May 7-13, 2017, the joint Color Guard of the Grand Junction Police Department and Mesa County Sheriff's Office presents the colors. In 1984, President Ronald Reagan created National Correctional Officers Week to honor the work of correctional officers and correctional personnel nationwide. In Mesa County, this group of professionals is known as detention deputies. Mesa County Deputy Sheriff Amanda Erkman stands in position as she recites the Pledge of Allegiance. From left, Commissioner Scott McInnis, Commissioner John Justman, Sheriff Matt Lewis, Captain Art Smith, and Commissioner Rose Pugliese. The Commissioners Monday morning proclaimed May 7-13, 2017, National Correctional Officers Week. Mesa County Sheriff Matt Lewis accepts the Correctional Officers Week proclamation and recognizes his staff for all their dedication and hard work. On Monday morning, Grand Mesa Middle School students Daniel Smith, left, Lucas Hahn and Daniel Smith sit behind the Board of County Commissioners to experience what it is like to officiate an Administrative Public Hearing. Mesa County Commissioner Rose Pugliese hosts three, eighth-grade, Grand Mesa Middle School students who will shadow her for the day. From left, Mesa County Treasurer Janice Rich, Public Health Director Jeff Kuhr along with Commissioner John Justman talk to the Grand Mesa Middle School eighth-graders about their role in local government. Grand Mesa Middle School students talk to Mesa County Administrator Frank Whidden, right, about the multifaceted operations of the county. Mesa County Commissioner Rose Pugliese, left, and Commissioner John Justman prepare for their remote testimony on Senate Bill 301, Energy-Related Statutes, which directs the Colorado Public Utilities Commission to adopt rules under which investor-owned utilities may submit plans for the acquisition of natural gas reserves to meet their long-term supply needs. 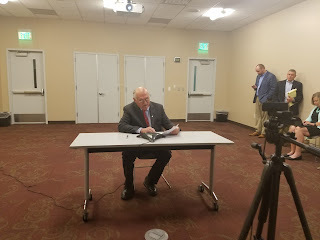 Commissioner John Justman testifies in support of Senator Ray Scott’s bill, Senate Bill 17-301, Energy-Related Statutes. Last week, the Grand Junction Regional Airport and Mesa County Office of Emergency Management conducted a full-scale exercise, involving the airport and local fire departments, law enforcement agencies, hospitals, coroner, and other local partners. The purpose of the exercise is to test emergency response plans ensuring that the Grand Junction Regional Airport, local response agencies, hospitals, and the coroner are able to implement onsite incident management and medical surge capabilities in response to mass casualty/fatality incidents that produce short-term medical surge. In the pictures, Captain Cox of Grand Junction Fire Department provides a safety briefing to participants in the staging area before the start of exercise. Grand Junction Fire Department Spokesman Dirk Clingman, right, removes makeup from a "victim" of the drill airplane crash. 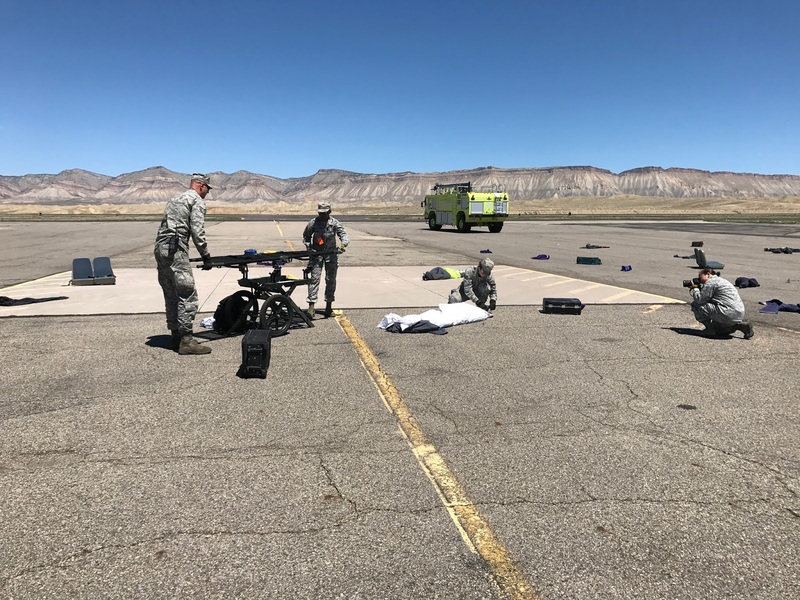 Mesa County Deputy Coroner Victor Yahn, right, works with the members of the Colorado Air National Guard Fatality Search and Recovery Team in preparation for recovery operations for the exercise. One of the objectives of the exercise it to evaluate the ability of the Mesa County Coroner to provide fatality management services, including scene investigation, body recovery, and victim identification. Air National Guard trainees learn how to tag victims and properly transfer remains to a bag for transport. Jen Stepleton of Mesa County Public Health works with the Air National Guard team to transport a deceased victim to the on-site morgue. 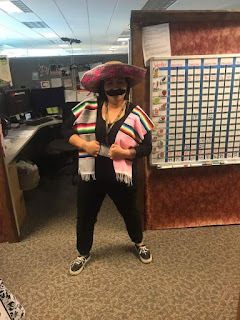 The exercise evaluates the ability of ambulance service agencies and local hospitals to provide lifesaving treatment, transportation, and tracking of incident victims. Travis Dorr of Mesa County Public Health works with the Air National Guard team to tag another fatality and transfer it to a transport bag. MCHDS staff membersTravis Dorr and Jen Stepelton and Kim Shea, Delta County Deputy Coroner, watch the Air National Guard Fatality Search and Recovery Team. This part of the exercise evaluates the ability of local law enforcement agencies to secure the incident scene and ensure a safe and secure environment for traditional and atypical response personnel engaged in operations. The Air National Guard team in action at the GJRA 2017 Full Scale Exercise. Mesa County DHS Emergency Preparedness Specialist Travis Dorr tests out the backboard to see how sturdy it is. 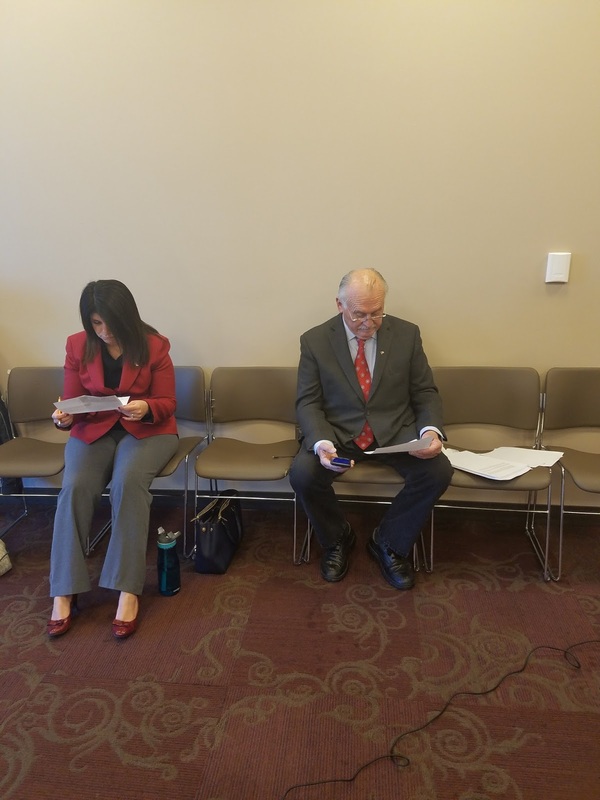 The Mesa County Assessor's Office kicks off their month-long tax appeal hearings at the old Mesa County Courthouse, 544 Rood Ave. location, as well as temporary satellite offices in Collbran and Fruita for customer convenience. Mesa County Appraisers Reed Orr, left, and Matthew Kramer review documents. FYI: While property values are on the rise, assessment rates are dropping, which means taxes will be within one percent on average of 2016. Behind Mesa County Appraiser Reed Orr, a slide shows that on average residential property taxes will go down. 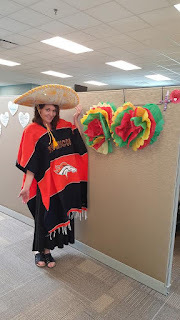 Mesa County Assessor's Office staff members assist residents with property information on property values. Your Appeal Rights: After Notices of Valuation are sent out, after May 1, 2017, a 30-day appeal period begins. 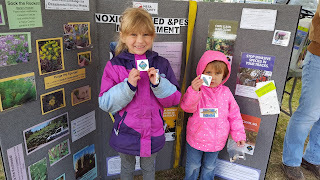 Mesa County Noxious Weed & Pest Management hosted a booth for children and families to learn about responsible noxious weed management and prevention at Colorado Parks and Wildlife Heritage Days in Palisade Riverbend Park last Saturday. 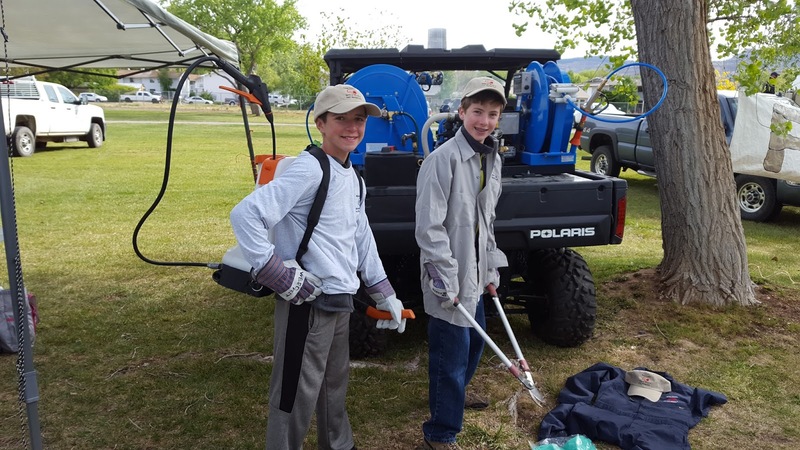 Attendees had the chance to step into the shoes of the noxious weed crew and learn about being safe when applying herbicides. 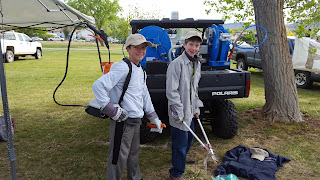 Visitors learn how to handle herbicide and how to apply it. 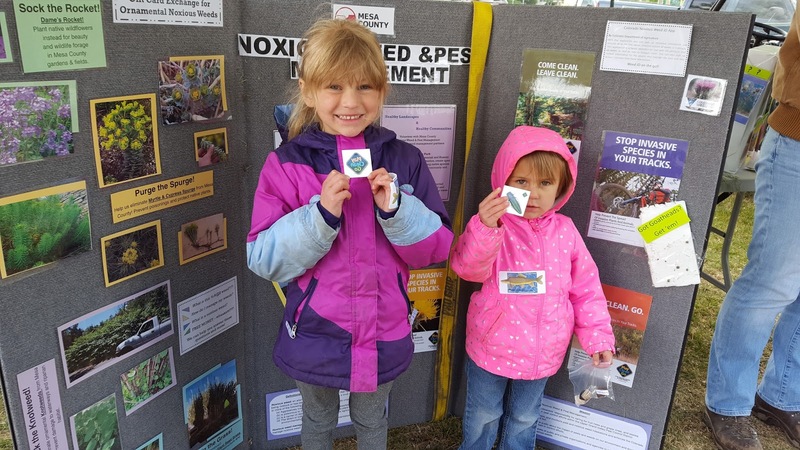 Julie Knudson hands out temporary tattoos and talks to young outdoor enthusiasts about preventing the spread of weeds by remembering to Play Clean Go. The project on 16 Road that replaced the MM-16-N.3 and MM-16-O.5 bridges is scheduled for completion by the end of May. Crews are currently working on the final phase, which includes fence installation. Buckskin Hill is getting close to opening as a gravel road. Paving, guardrail, and completion will happen later in the year. On Wednesday, May 10, in honor of National Bike to School Day, Taylor Elementary celebrated by biking to school. 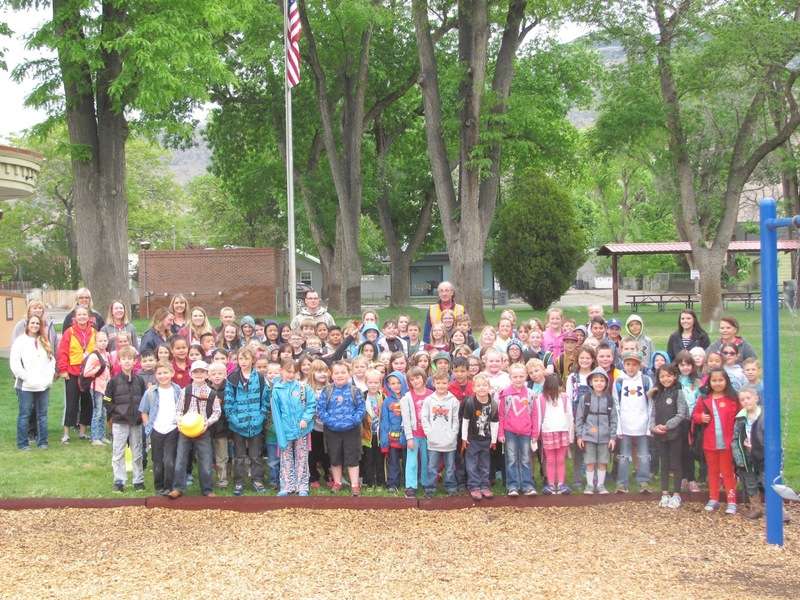 Approximately 140 kids, eight teachers, a Palisade Police Officer, and several fire crew members from Palisade walked together from the Community Center to Taylor Elementary School. Fire and PD blocked off a street by the crosswalk so the line of kids could safely cross. Several school buses dropped kids off at the Community Center rather than the school so the kids could participate. 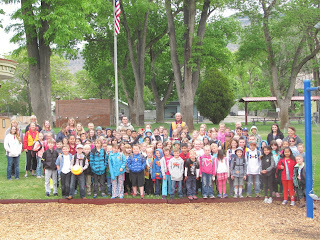 Other schools that participated in Walk & Bike to School Days include Chipeta, Lincoln Orchard Mesa, Orchard Avenue, Pear Park, Shelledy, Rim Rock, Rocky Mountain, and Wingate Elementary. 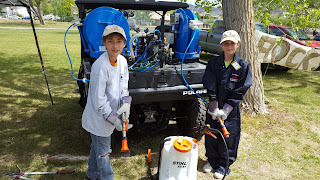 As well as Bookcliff and Grand Mesa Middle Schools. Eleven Mesa County schools have been encouraging students to walk and bike to school this spring. 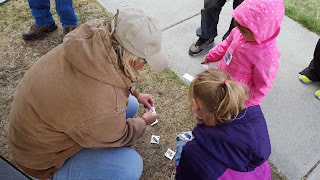 Walking School Buses and Bicycle Trains were organized, and prizes were drawn for one day, a whole month, or all season. 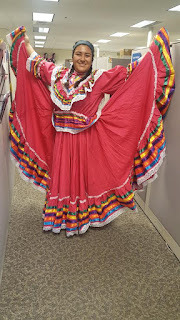 Last Friday, the Mesa County Department of Human Services along with the Workforce Center celebrated Cinco de Mayo and hosted a dress-festive contest "Cinco de Dress-Festive." Employee Arminel Estevez was the 1st-place winner. 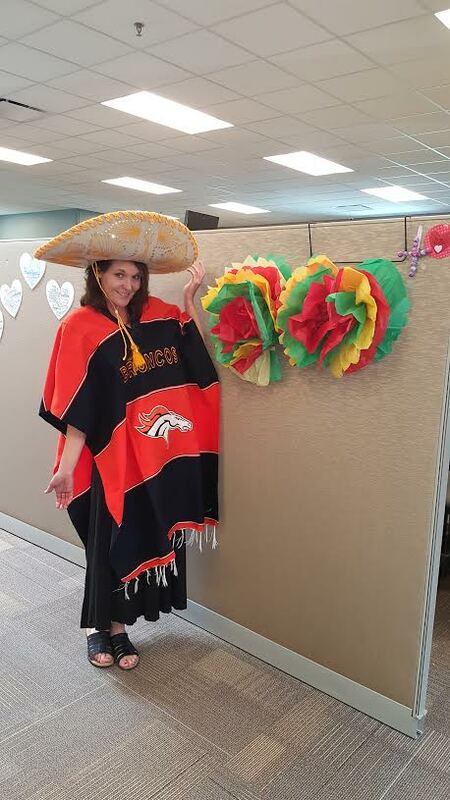 Mesa County WFC Supervisor Shelley Grattan was the runner-up for the "Cinco de Dress-Festive." Mesa County DHS Eligibility Specialist Maribel Vigil received honorable mention in the Cinco de Mayo celebration last Friday.